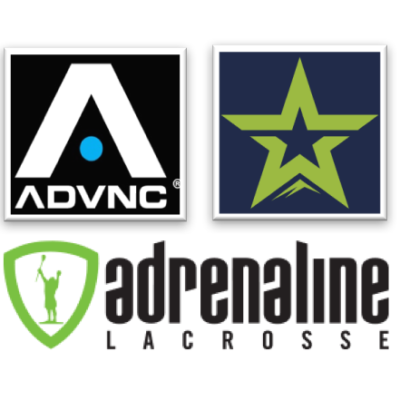 We are proud to announce that SEATTLE STARZ LACROSSE will be merging with ADVNC LACROSSE. This is a very exciting event for both clubs, our coaches and our lacrosse families. Our greatest asset has always been our players and by joining forces we have taken a huge step forward in delivering our shared vision to be the preeminent lacrosse training program on the West Coast. Though we will now operate as one club, the SEATTLE STARZ leadership team of Lewis Ratcliff, Rich Schwartz, Scott Kelly, and Lyndsey Gillis will continue to deliver the same high-quality training, performance and experiences you have come to expect from our club. In conjunction with ADRENALINE LACROSSE, our partnership forges the largest lacrosse club on the west coast with enhanced experience and expertise. Our merger will create a more comprehensive offering for our players leveraging the resources of both ADVNC and SEATTLE STARZ including collegiate recruiting, national and elite traveling teams, camps, clinics and tournaments. Together, we continue to have exclusive access to West Coast Starz in the northwest and all ADRENALINE Showcases and recruiting events. ADVNC LACROSSE is the leader in lacrosse training and development in Northern California. The club was founded and is led by 2003 Tewaaraton Award winner and MLL All-Star Chris Rotelli. Chris attended the University of Virginia from 2000 to 2003, where he became one of the most decorated midfielders in Cavaliers history. As a senior in 2003, Rotelli helped lead the team to the NCAA Division I National Championship. He was drafted first overall in the 2003 Major League Lacrosse college draft. In addition to ADVNC’s competitive select teams, the program hosts clinics, tournaments, showcases and the exclusive and highly respected Lake Tahoe Summer Camp. The union of the two clubs forms the strongest and most successful college recruiting program west of the Mississippi. Together, the club boasts over 125 current NCAA D1 / D2 / D3 players and over 250 NCAA alumni in our combined history. This is a merger of two highly compatible programs. Our clubs have worked together often in the past and have developed a deep mutual respect. We hold similar values and philosophies on lacrosse training. In short, our mission is to maximize player potential, enjoyment of the game, and to help athletes play lacrosse in college. We measure our success by the success of our players, both on and off the field. Please join us as we look forward to building our national reputation as the West Coast’s preeminent lacrosse club and developing the next generation of student athletes.